George Town, the location of our Penang accommodation, has been named to UNESCO’s list of World Heritage Sites since 2008 due to its large collection of pre-war architecture and a fascinating cultural townscape that is unique in this part of Asia. Yeng Keng Hotel is located along Chulia Street—a vibrant and colourful strip that bursts with activities and events—most specially come nightfall. 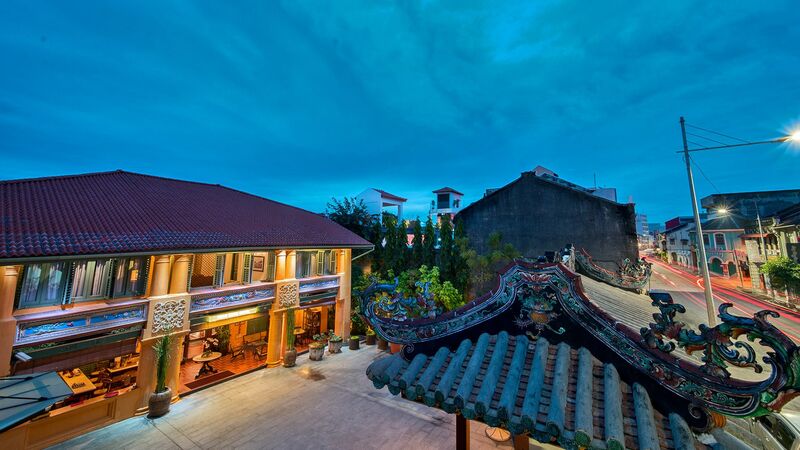 Our heritage hotel in Penang is just a few minutes from Penang Port and Swetthenham Pier Cruise Terminal. Sungai Nibong Express Bus Terminal is 20 minute away while the Penang International Airport takes about 30 minutes by car.